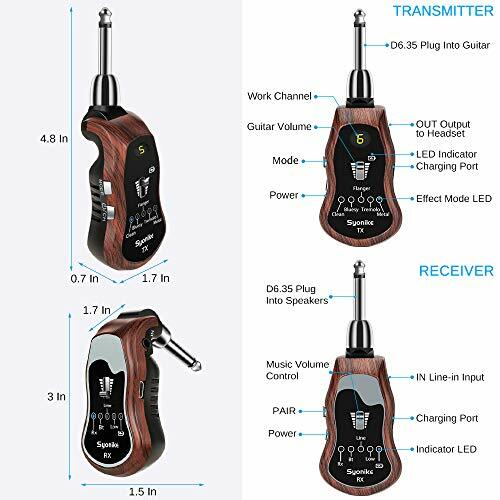 Transmitter to guitar, receiver to amp, plug and play---UHF frequency, NO interference from wifi signal, FAST transmission, 180°rotatable 1/4" plug, good for electric bass/guitar with input jack. 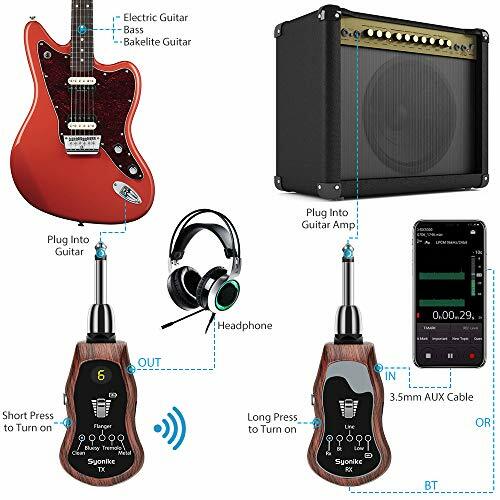 5 Built in Guitar Effects---Clean, Bluesy, Flanger, Tremolo and Metal. 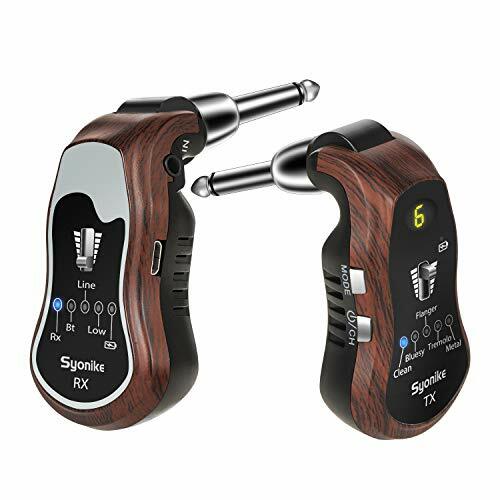 10 channels available, support 10 sets of devices working at same time, one-to-one and no-interference. 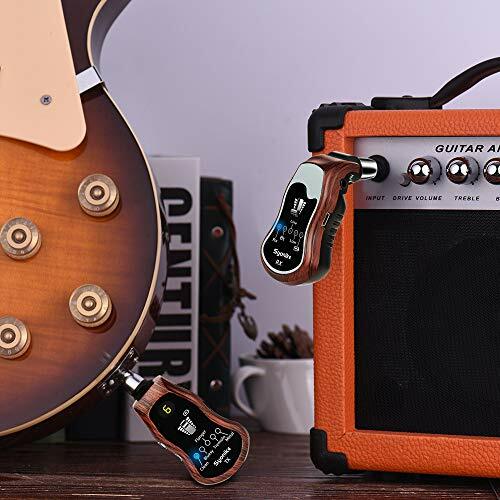 Volume control allowed. 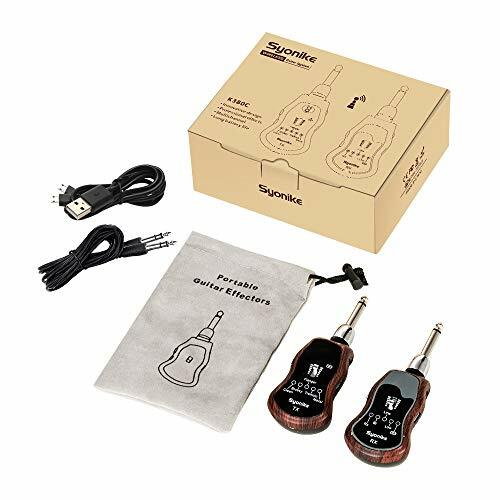 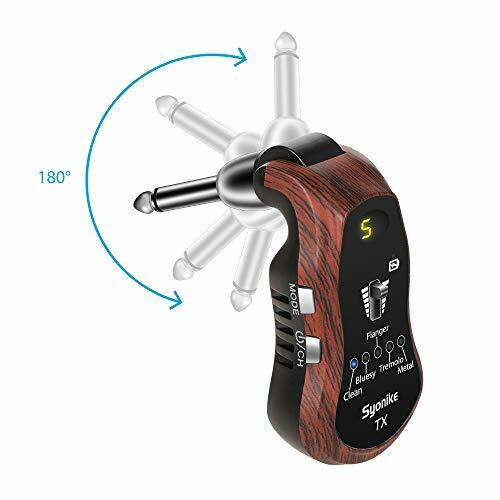 Transmitter with 3.5mm output jack and built-in amplifier, can connect to headphone, enjoy yourself without disturbing others, or connect it to speaker to work independently without the receiver. 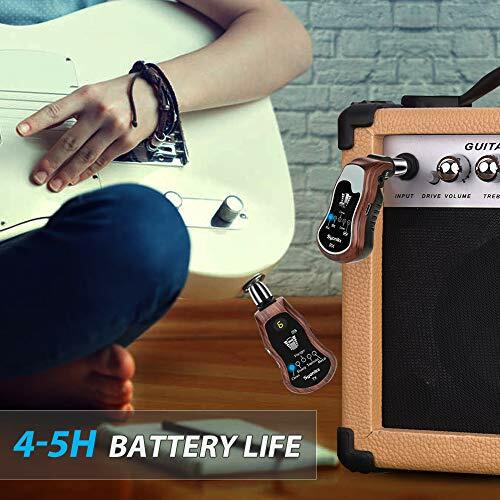 Receiver with built in bluetooth function and line-in input jack, so background music from mobile phone can be input to the receiver through BT, therefore one can play the effects of a whole band.